Our Kids Hamburger Meal and Cheeseburger Meal keep kids of all ages happy. 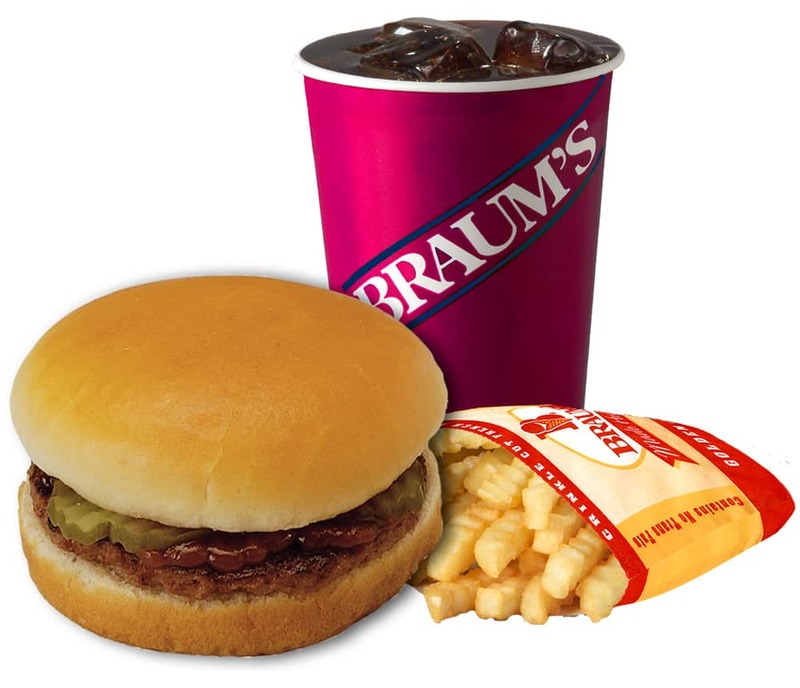 Choose from Braum’s Kids Meal Hamburger or Cheeseburger, served with pickles and sauce on a fresh-baked Braum’s bun. You’ll also get french fries, a 12 oz. shake or 16 oz. soft drink, and a toy.